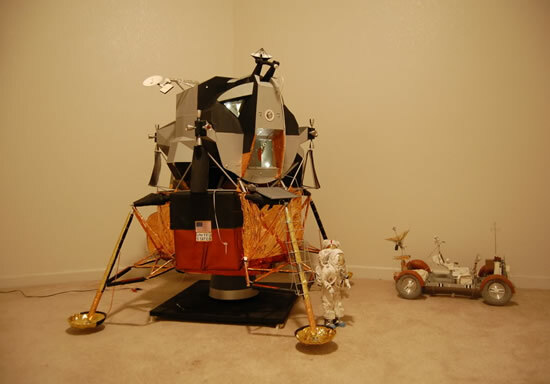 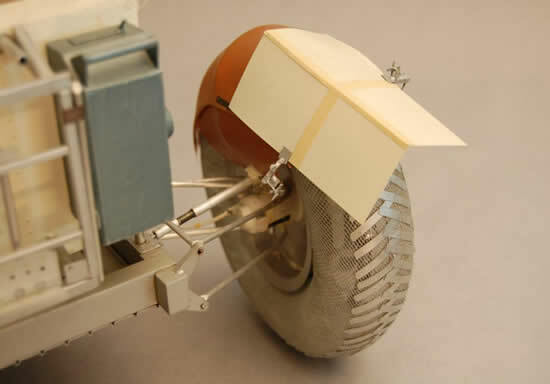 1/6 scale replica of the Apollo 17 lunar module, rover vehicle, and two astronaut figures. 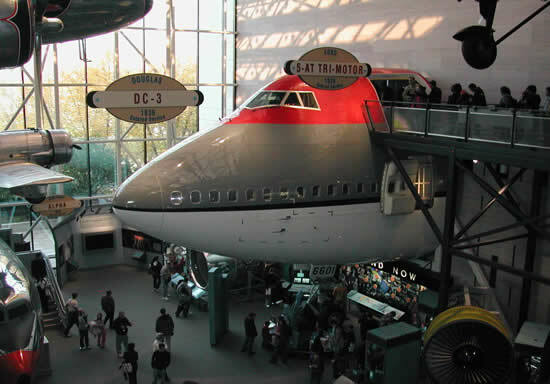 Built between 1987-89, it was first displayed at the Alabama Space and Rocket Center, and then moved to the Seattle Museum of Flight where it has been on display since 1996. 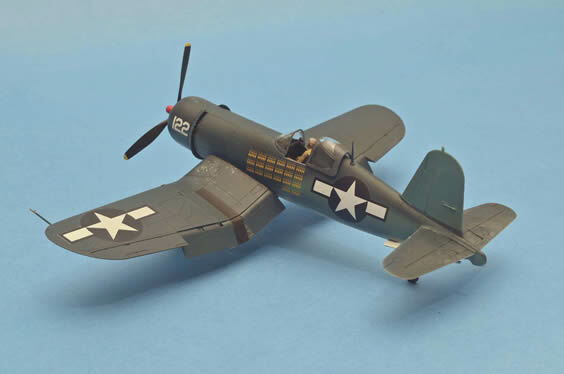 1/5 scale model of a Chance-Vought Corsair flown by Lt. Robert M. Hanson, the highest scoring ace in the Corsair aircraft (25 kills) in WWII. 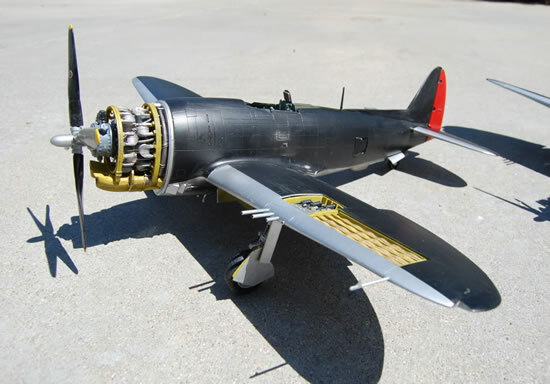 This model is on display at the National Naval Aviation Museum in Pensacola, FL since 2012. 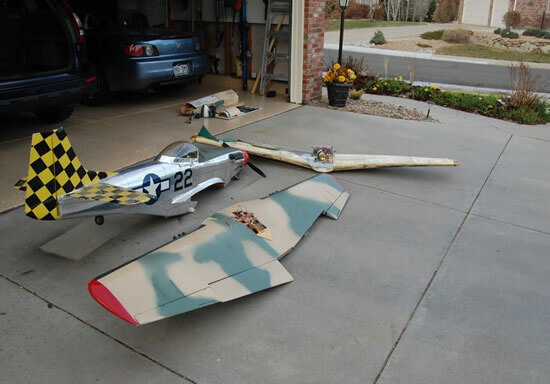 Different flyable rc airplanes. 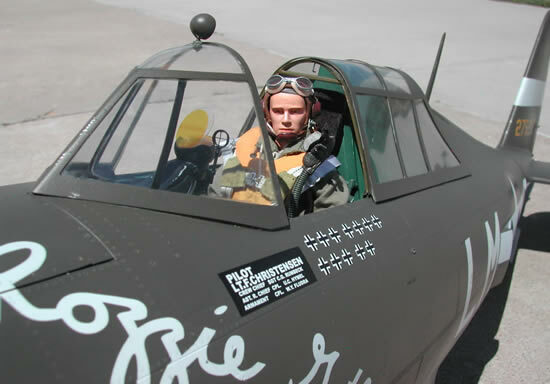 The olive drab Rozzie Geth was built for a private collector in Norway in 2006. 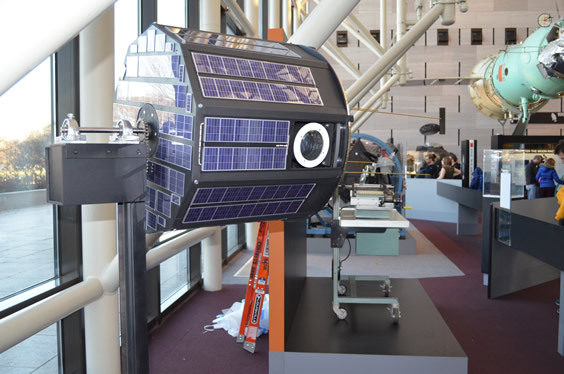 The black Lorene is now at the Evergreen Aviation Museum in McMinnville, Oregon since 2005 (home of Howard Hughes’ Spruce Goose.) 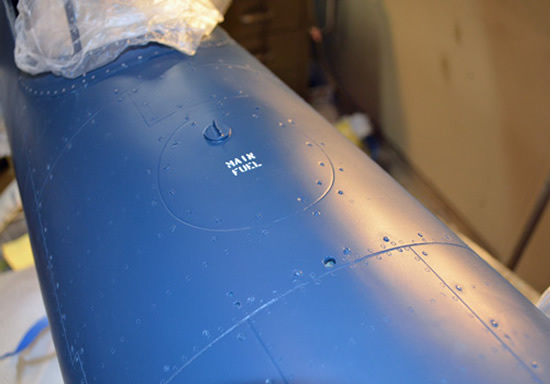 The blue Fire Ball is now at the Valiant Air Command museum in Titusville, Florida, adjacent to the Kennedy Space Center. 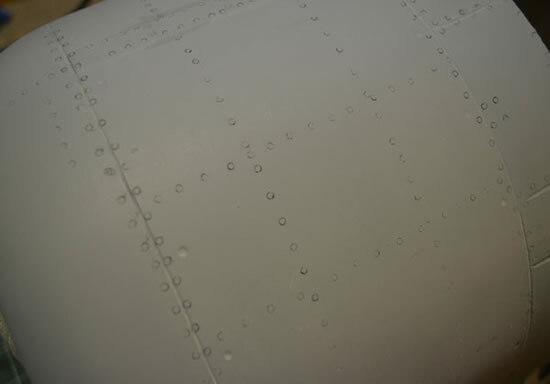 It has been there since 2012. 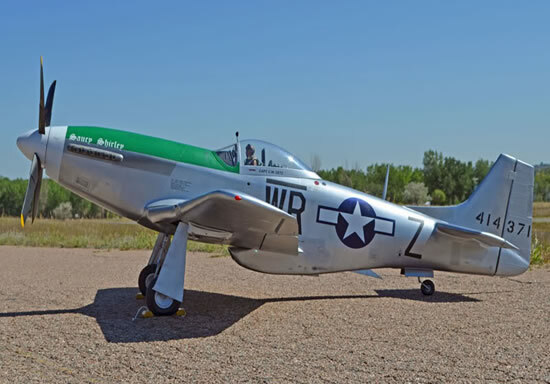 The green and grey Hairless Joe was actually flown at the Boxted airfield in England in 2004 where its full sized counterpart flew from in WWII, and returned back to the USA where it has been on display at the Kalamazoo Air Museum in Michigan since 2005. 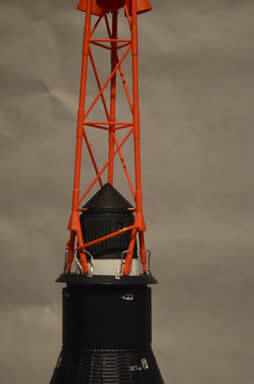 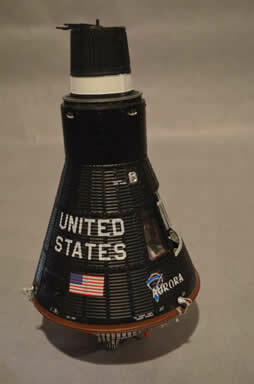 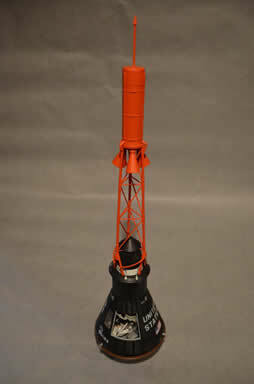 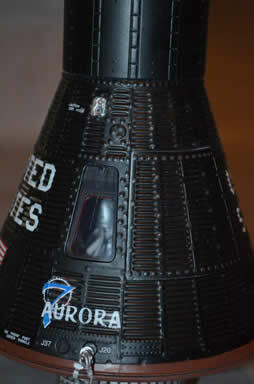 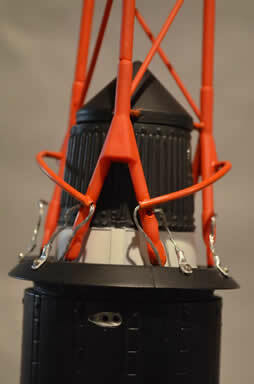 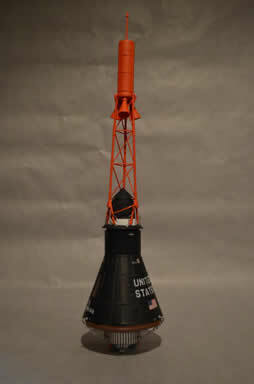 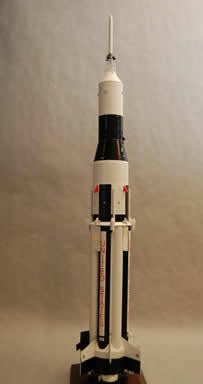 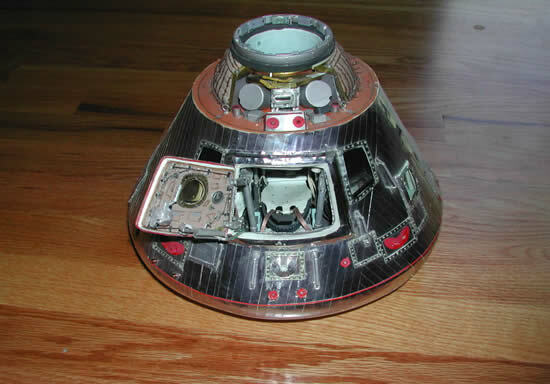 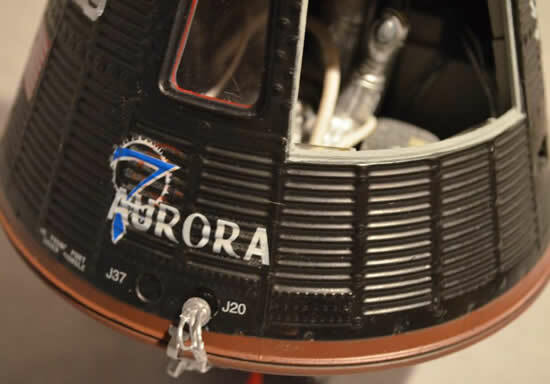 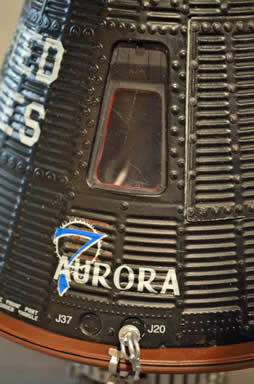 1/12 plastic kit model of Scott Carpenter’s Aurora 7 Mercury spacecraft. 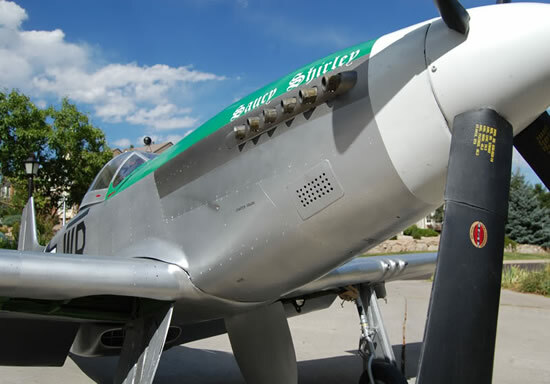 This model is on display at the Spirit of Flight Center in Erie, Colorado. 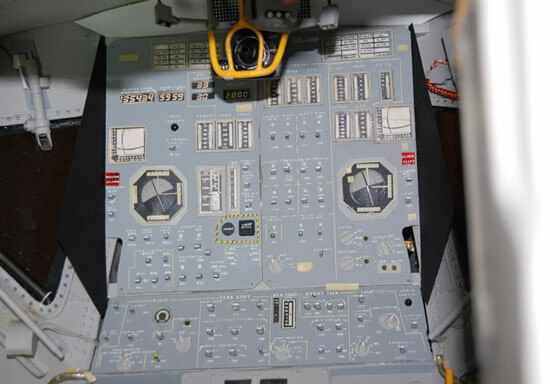 It was built in 2013. 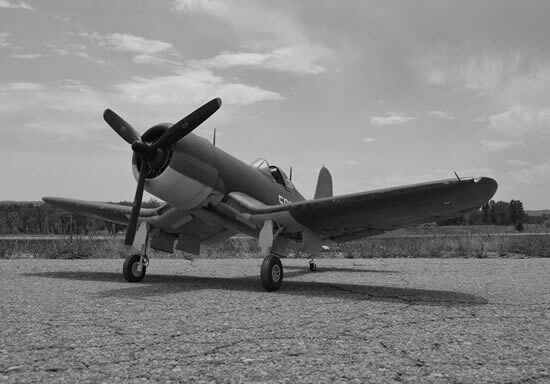 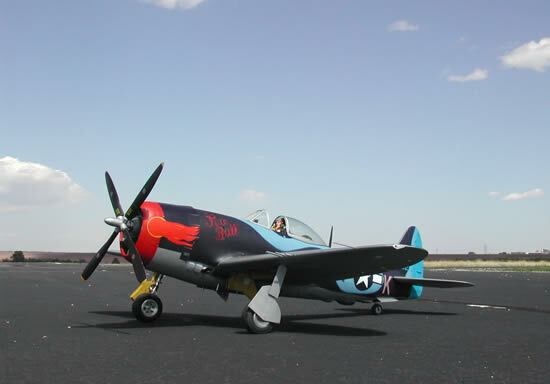 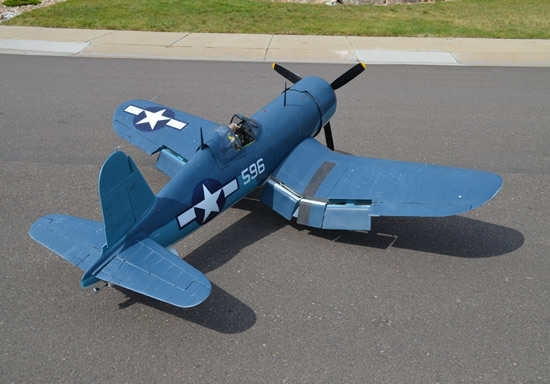 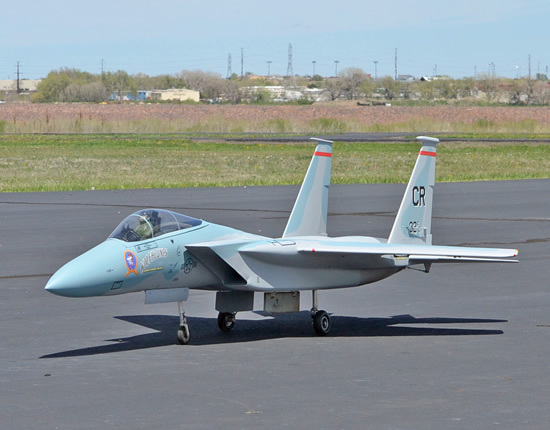 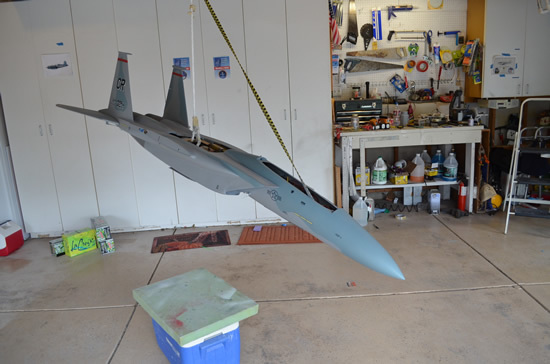 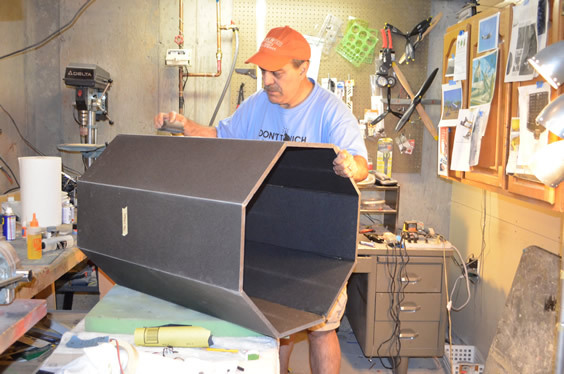 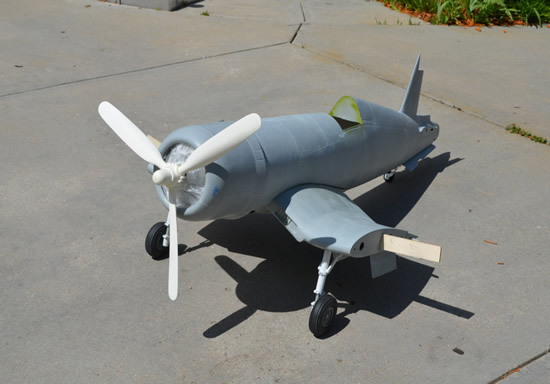 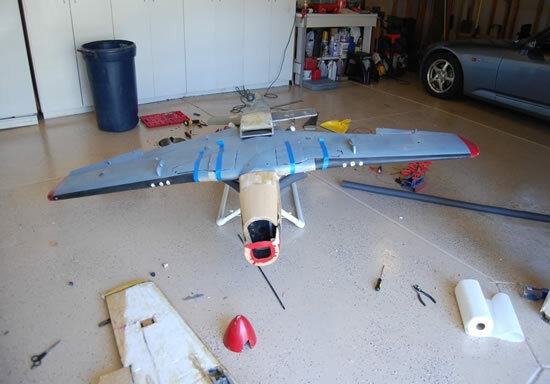 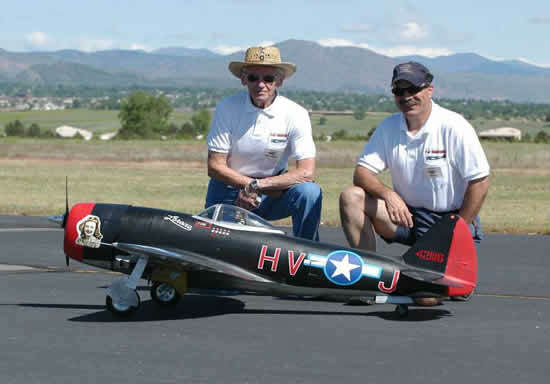 Similar to the Hanson Corsair model, this was built and donated to the Spirit of Flight Center in Erie Colorado in 2013. 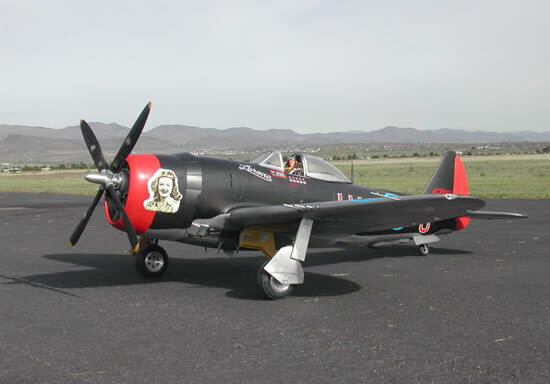 It was a tribute to General Robert Owens, Jr., USMC commander of VMF-215 in WWII. 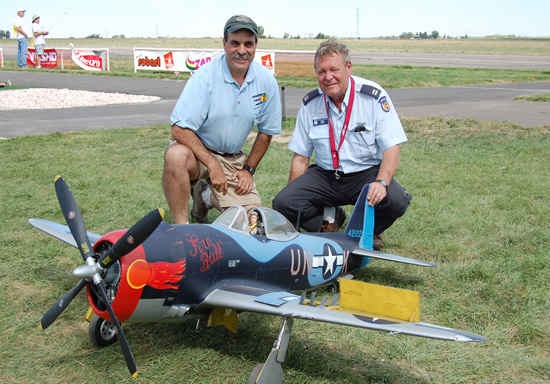 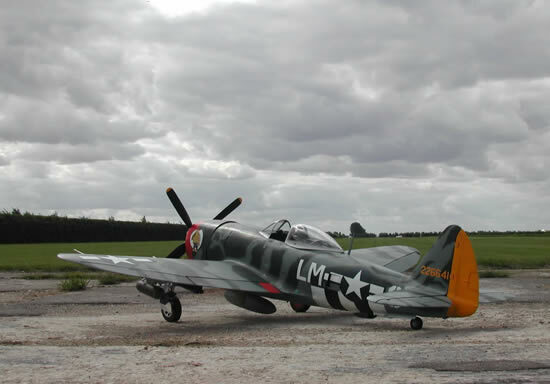 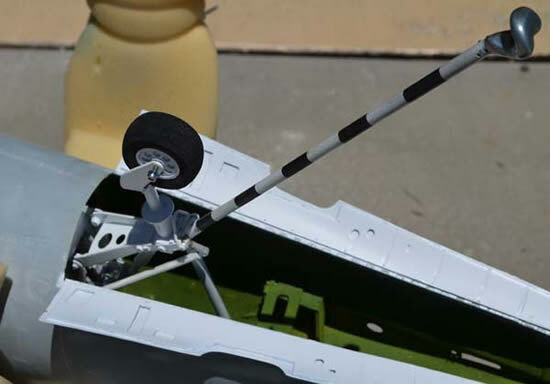 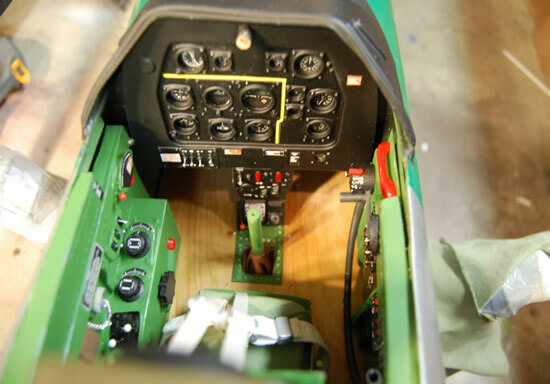 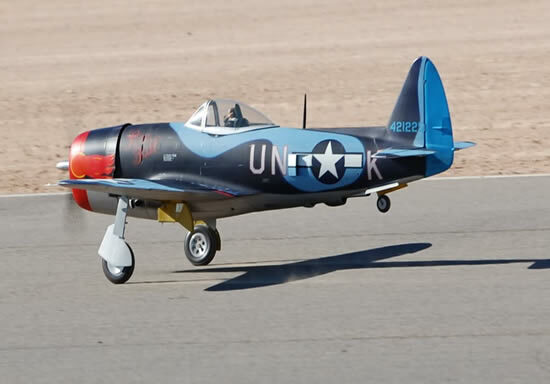 This ¼ scale P-51D Mustang rc model was restored from a model that was in very bad shape. 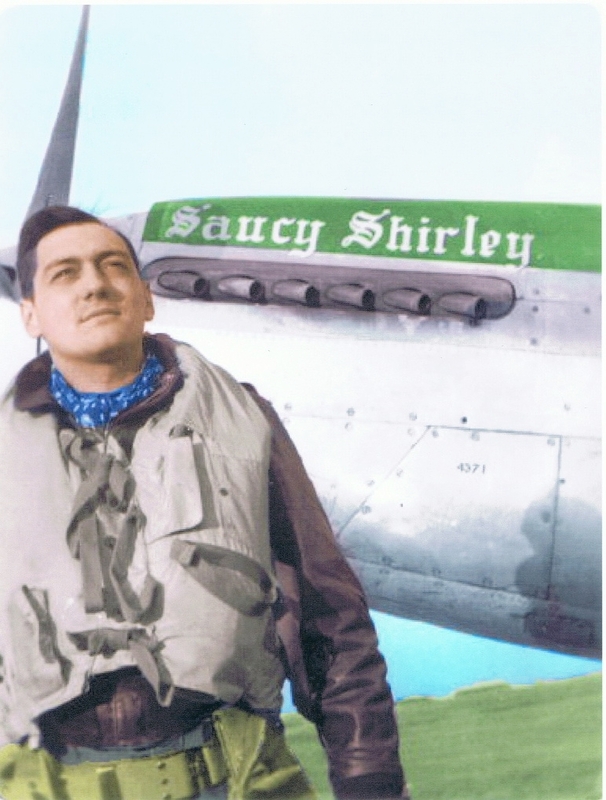 It was completely rebuilt as Saucy Shirley, flown by Captain Bill Getz with the 2nd Air Division Scouting Forces out of England in WWII. 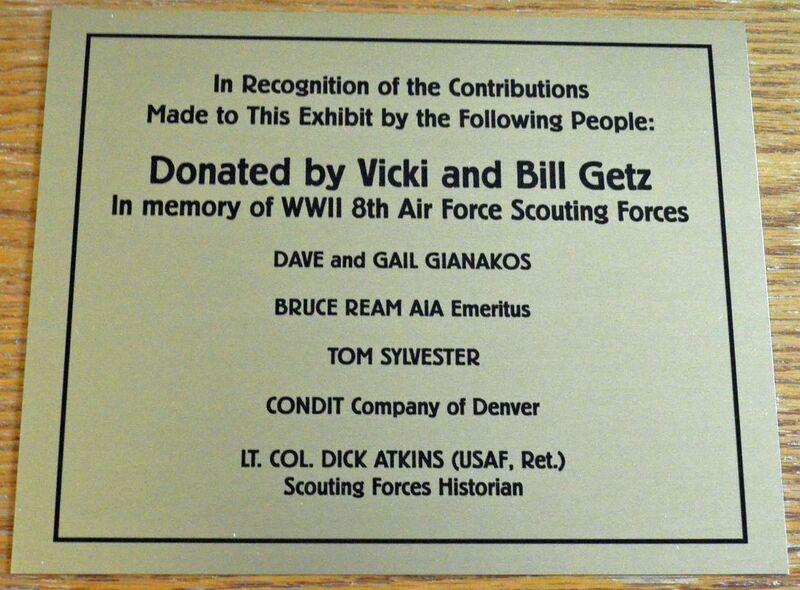 It now hangs in the Spirit of Flight Center in Erie, Colorado since 2011. 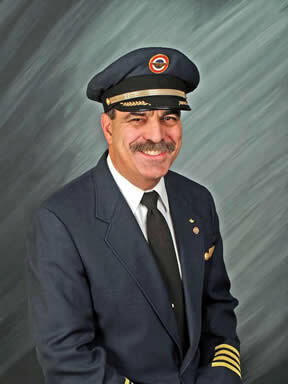 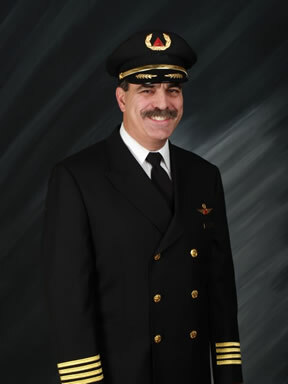 I flew as an airline pilot from 1978-2014. 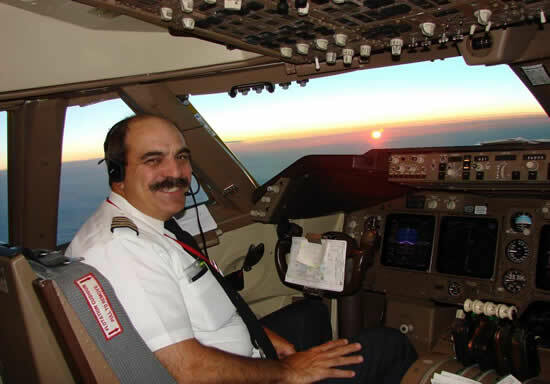 During that time I logged over 24,000 flying hours, 15,000 of which were on the 747 and 747-400 aircraft. 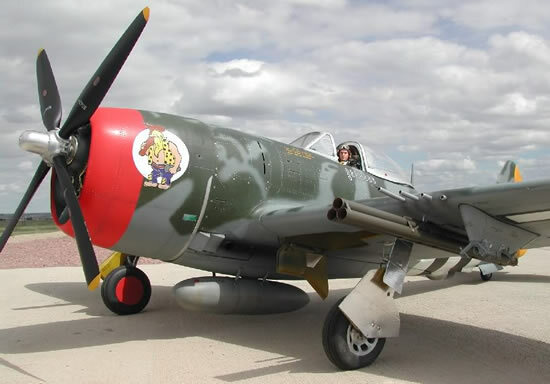 What a great airplane! 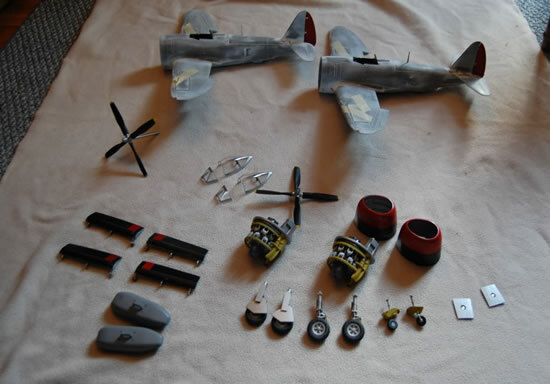 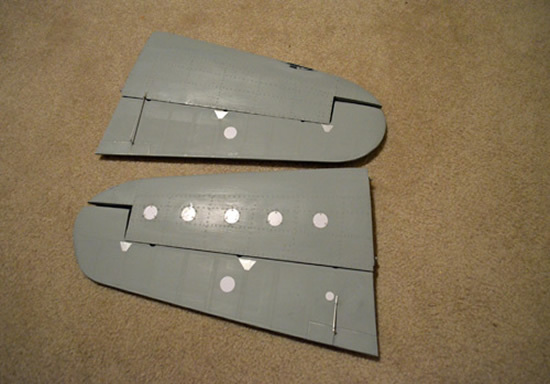 Two identical plastic models of the P-47M Lorene flown by pilot Russell S. Kyler with the 56th Fighter Group in WWII. 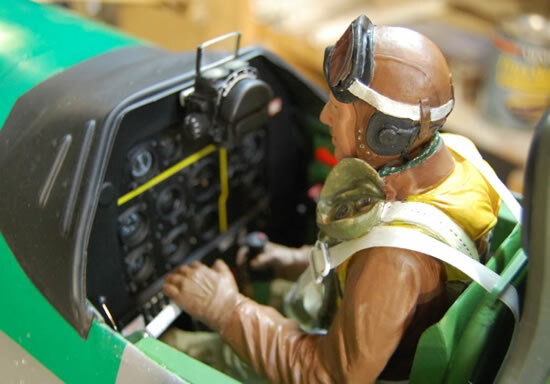 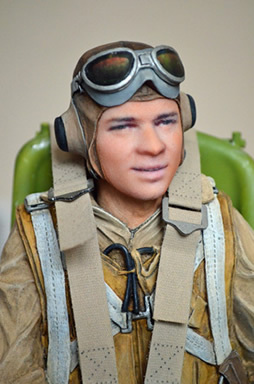 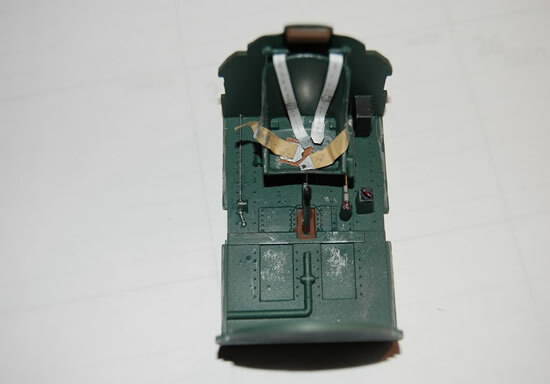 One of the models was donated to Kyler himself, the other was donated to a museum on the Boxted Air Field in England in 2010 where he flew from in WWII. 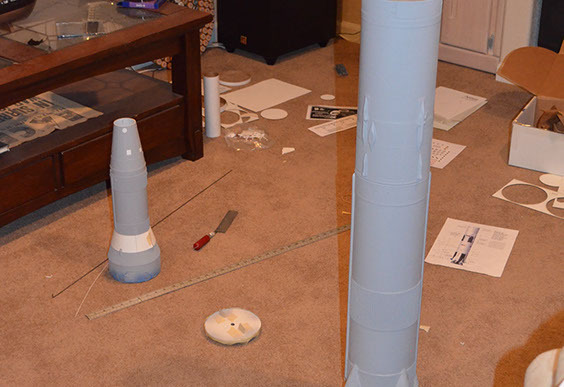 This is a collection of flyable and static rocket models. 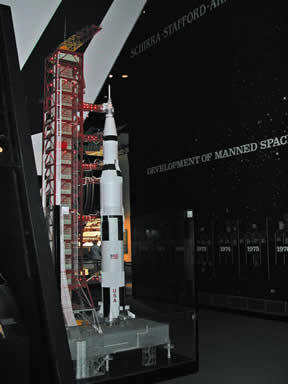 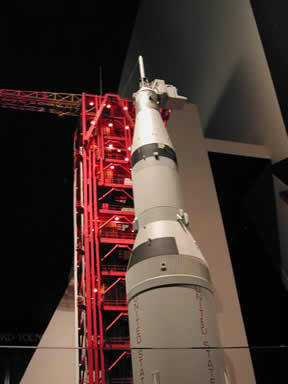 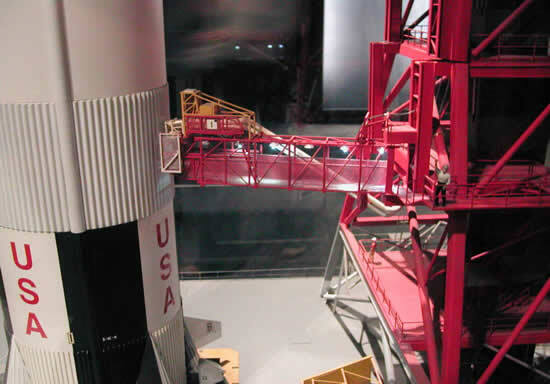 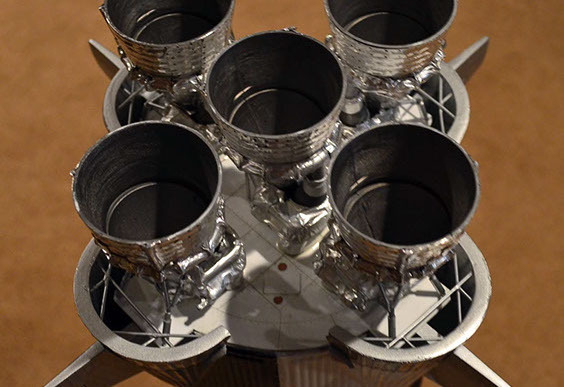 There are pictures of the Saturn V model that is at the NASM since 1995. 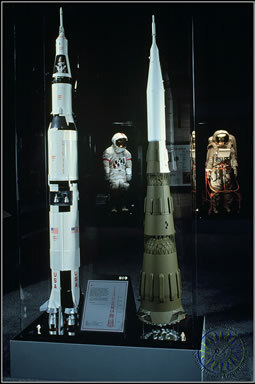 Also the green and white rocket next to a Saturn V rocket in the picture is the N-1 Model I built for the NASM, the scale model of the Russian moon rocket. 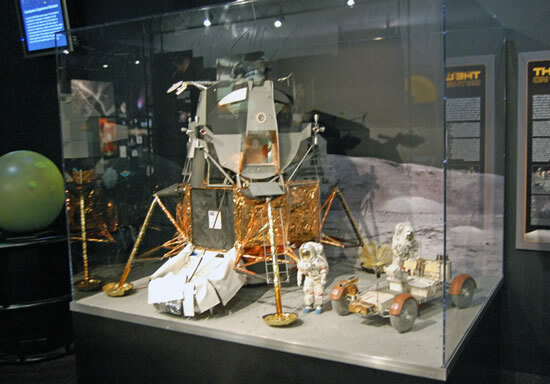 The display case that says “Apollo Missions” is a collection of 1/16 scale models of the Apollo 15 spacecraft and lunar module. 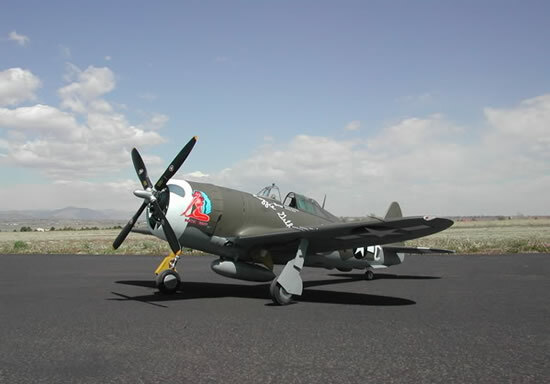 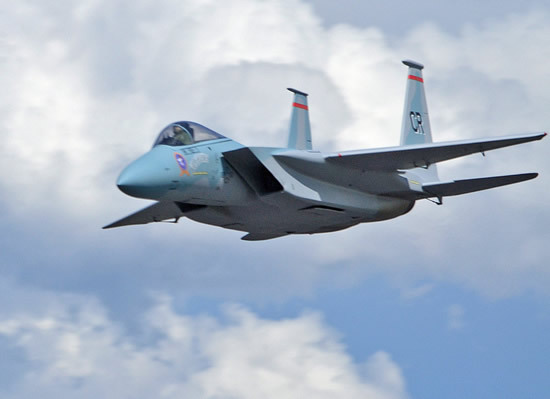 It was on display at the San Diego Air and Space Museum from 1987-2007, and then moved to the Wings Over the Rockies Air and Space Museum in Denver, where it resides today. 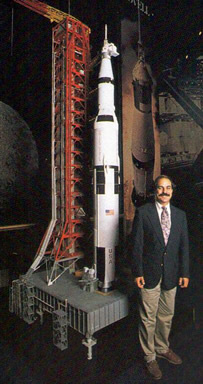 There are photos of Wally Schirra and me in front of the Saturn 1B rocket that was launched and recovered successfully in 1992. 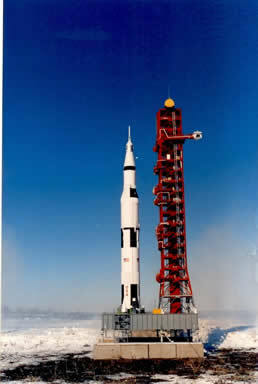 The photo on the cover of the magazine was taken of the launch of the rocket. 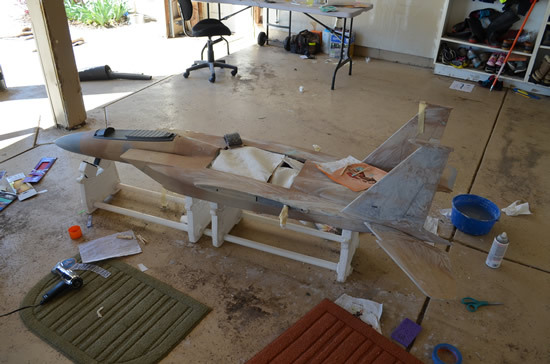 The winged missile that is banded in orange and white is a 1/24 scale model of the Navaho cruise missile from the Cold War period of the 1950s. 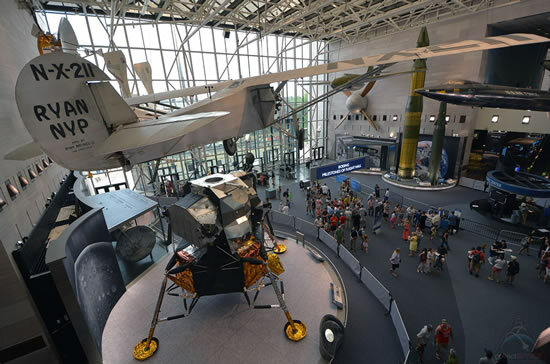 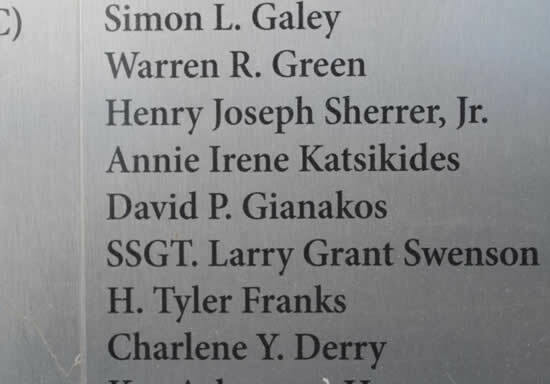 It resides at the Udvar-Hazy Center in Washington, D. C. since the museum’s opening in 2002. 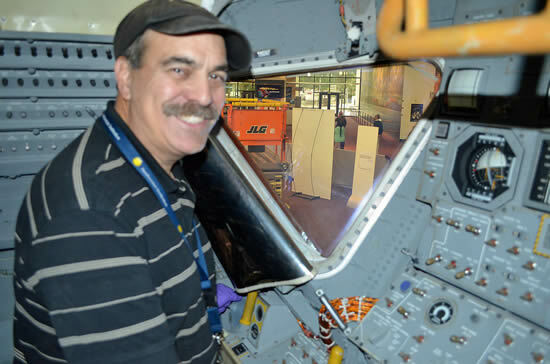 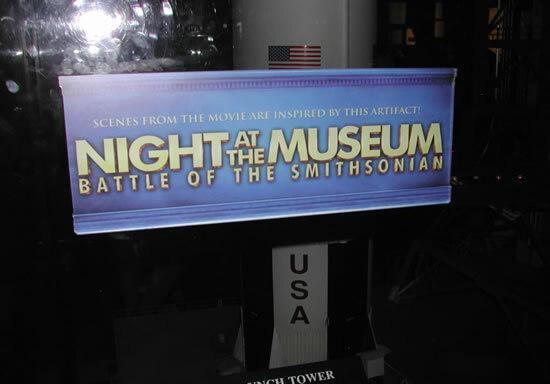 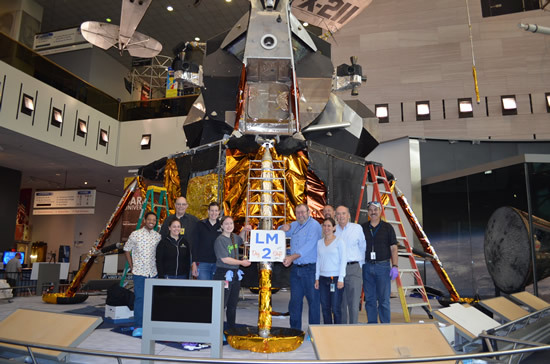 There are a couple of picture of me with the LM-2 at the NASM in 2009. 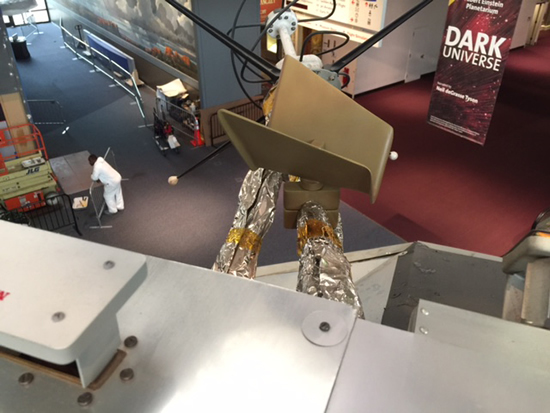 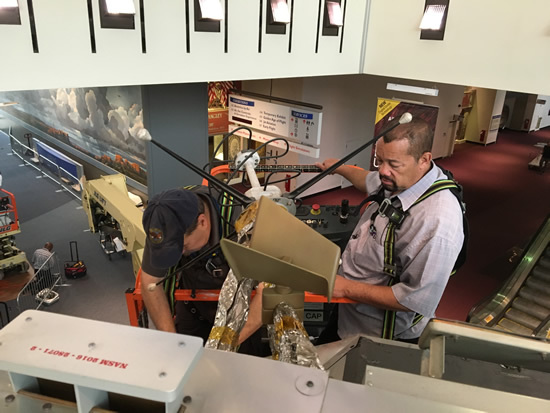 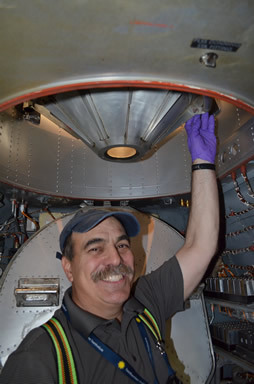 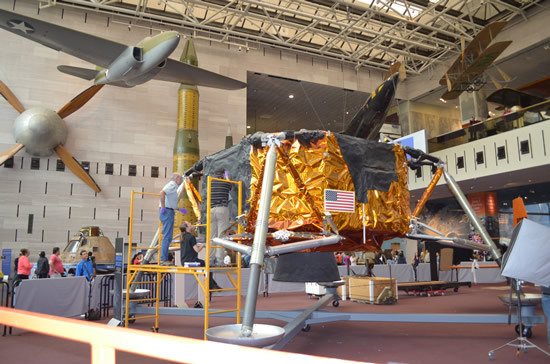 I was on the restoration crew to work on the lunar module at the NASM. 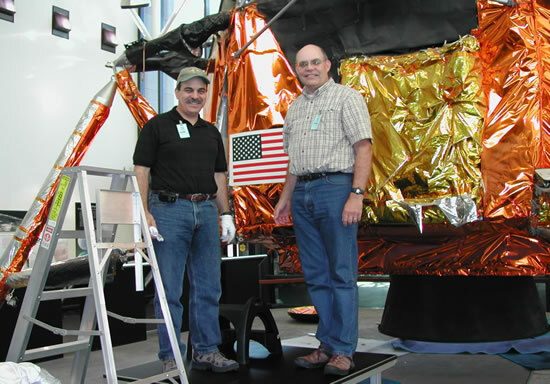 The person on the right is Paul Fjeld, the project director of the restoration. 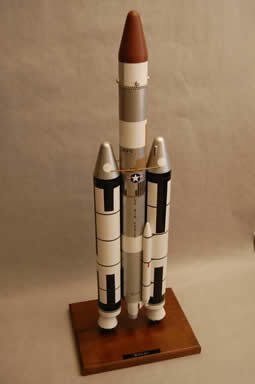 I also had a contract to restore 17 rocket models from the Air Force Space and Rocket Center at the Cape Canaveral Air Station in 2009. 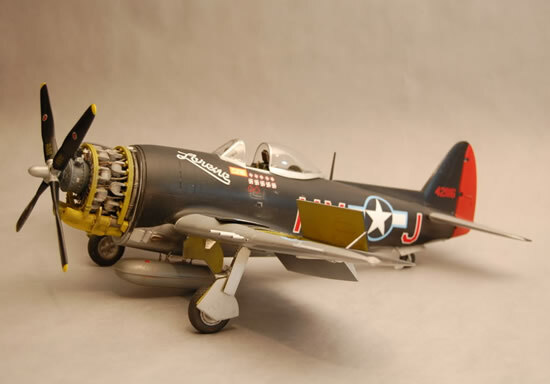 Most of these models were in horrible shape, and I restored each to its former glory. 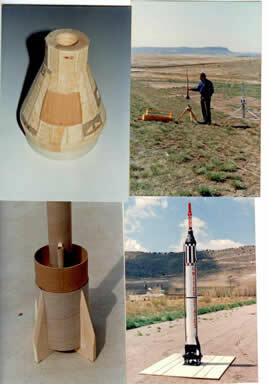 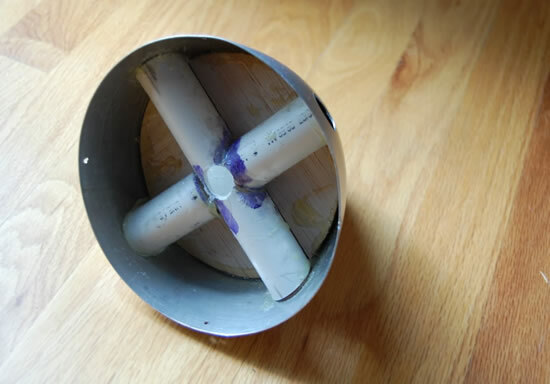 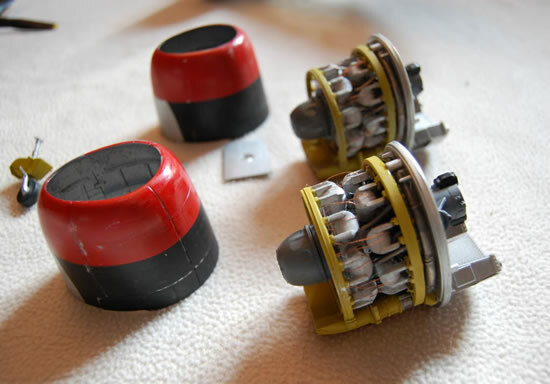 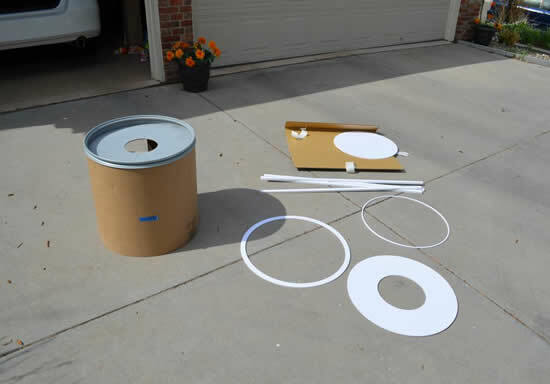 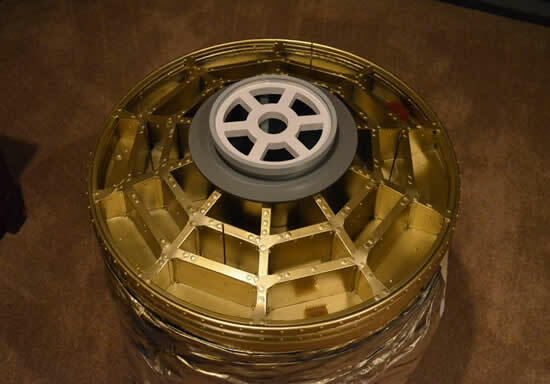 There are a few “before and after” photos of rockets in this file. 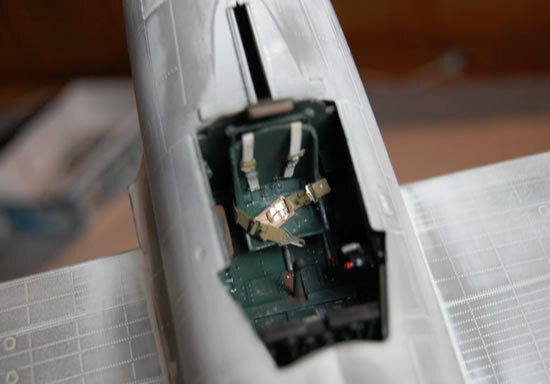 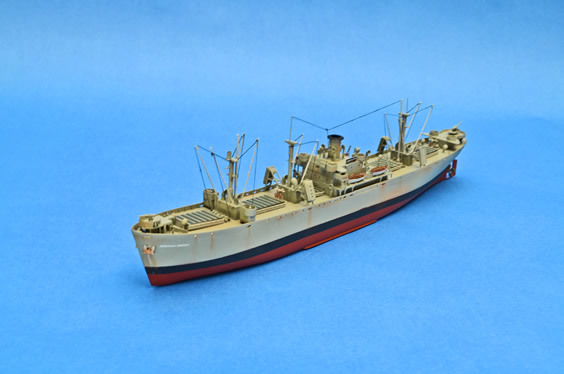 I did a series of plastic scale WWII aircraft and one liberty ship for a new exhibit for the Littleton Museum in Colorado. 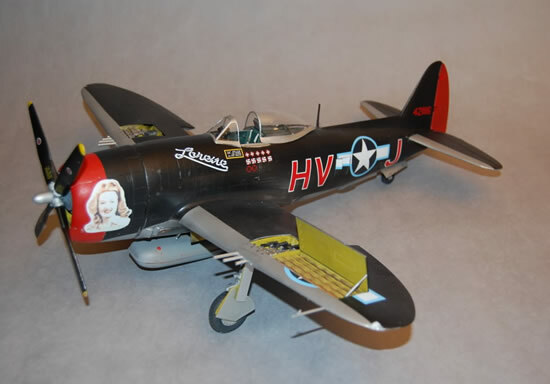 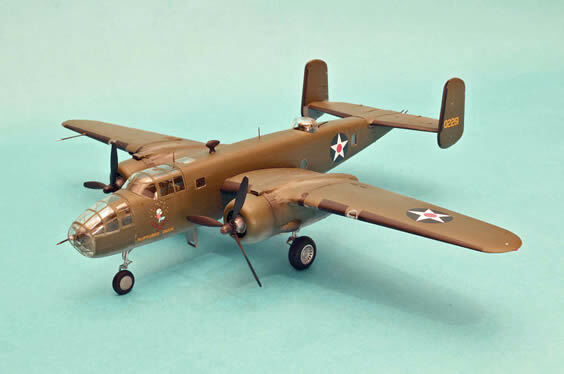 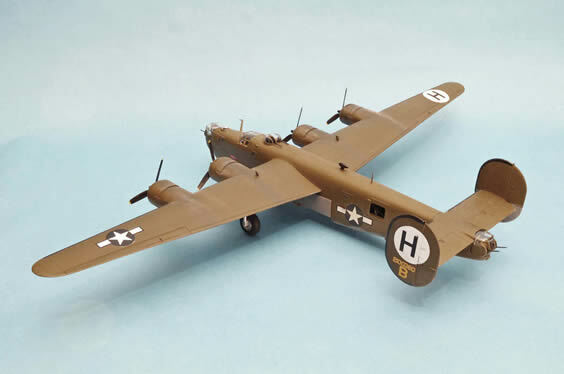 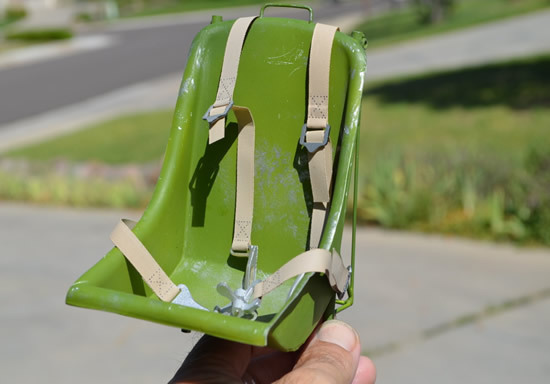 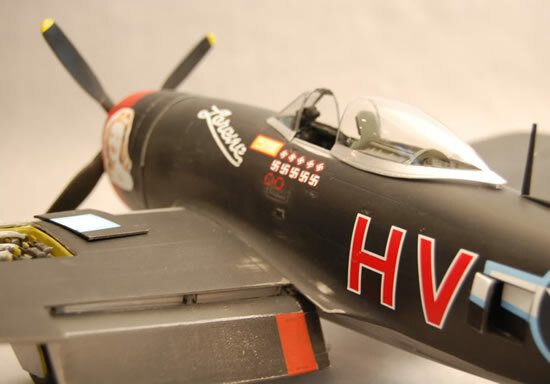 These models were specifically painted with markings and paint schemes for individual aircraft flown during the war. 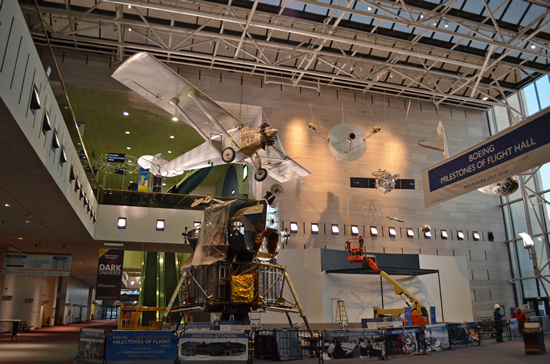 Part of the new exhibit at the NASM that opened in November 2014 on Reconnaissance from Space. 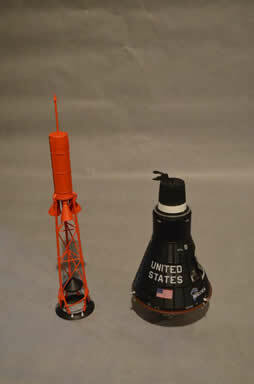 The 1/4 scale WorldView-3 satellite is also part of this collection. 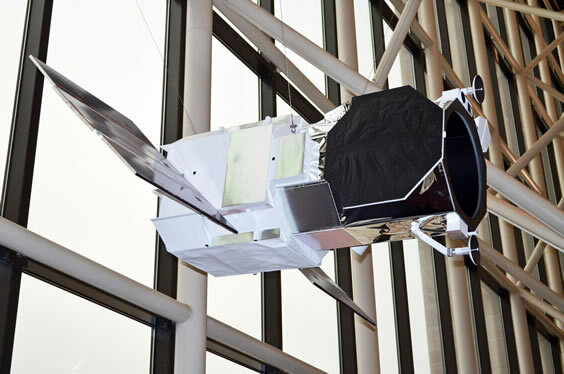 One-quarter scale replica of the latest satellite launched for DigitalGlobe from Vandenberg AFB, California in 2014. 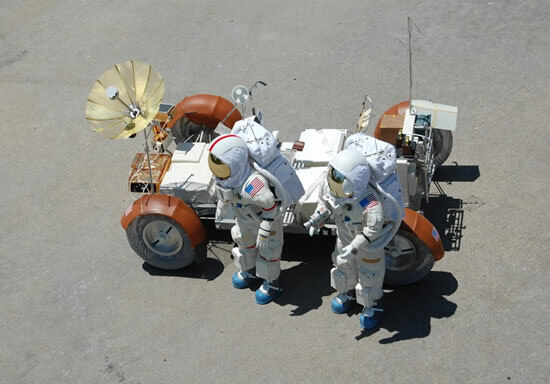 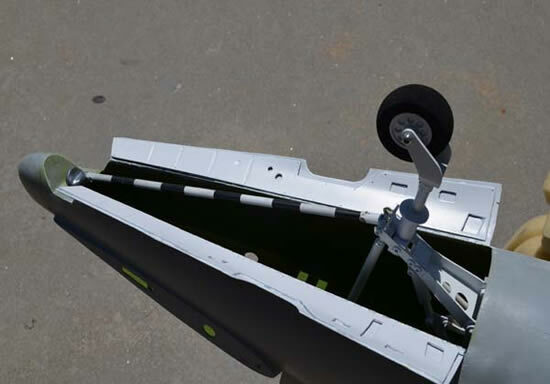 This vehicle is the most sophisticated of its kind yet launched into space. 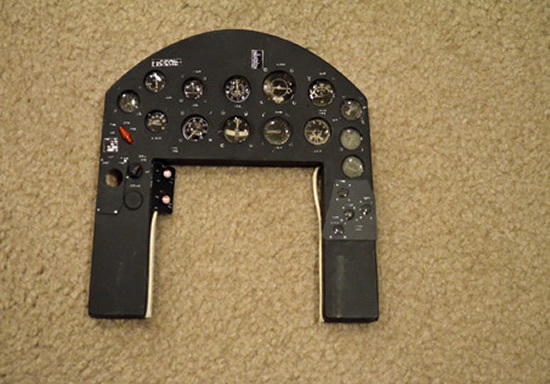 It can resolve images as small as 31 cm (12 inches)! 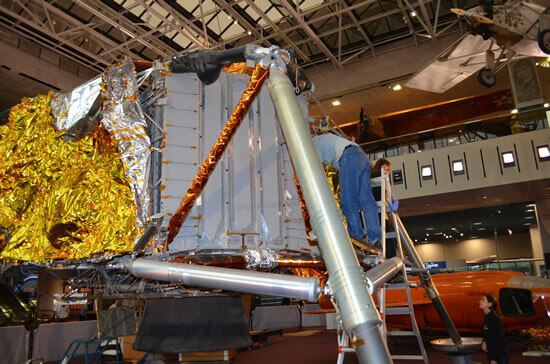 It is loaded with other sophisticated instruments to help study Earth. 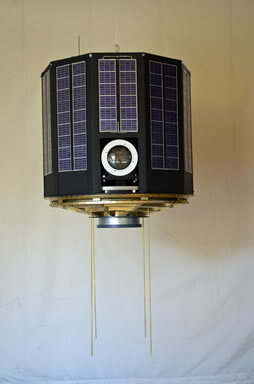 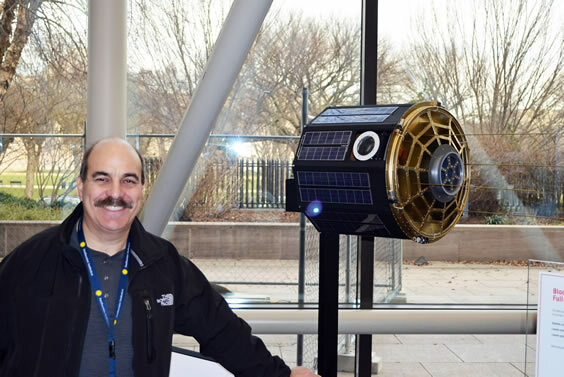 DigitalGlobe commissioned me to build this satellite model, and in turn donated it to the NASM in Washington, D.C. 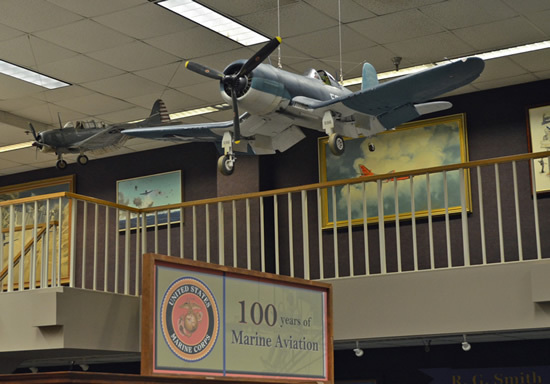 The Littleton Museum in Colorado opened a new exhibit in 2014 called Littleton Goes To War: 1941-1945. 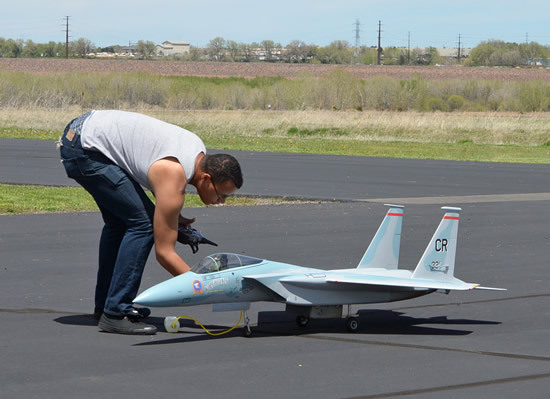 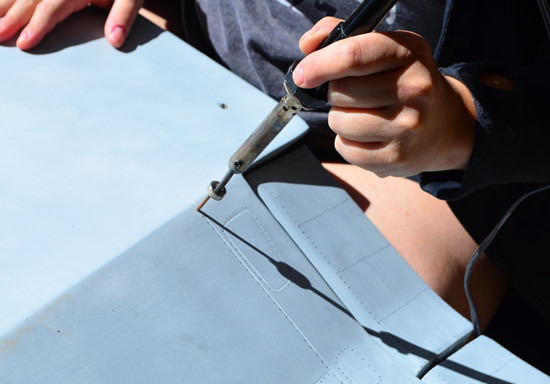 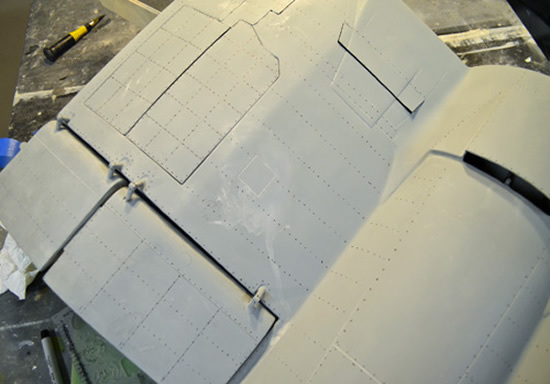 I was commissioned to build several plastic model aircraft to show visitors the types of aircraft and ships being used for war. 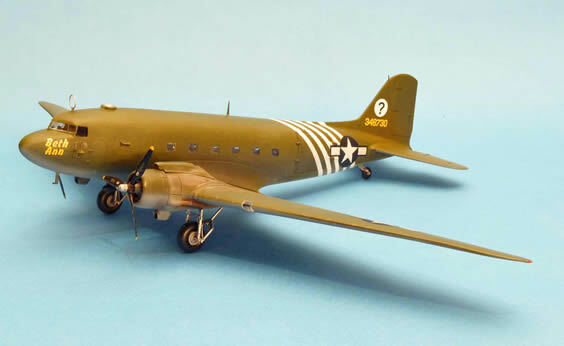 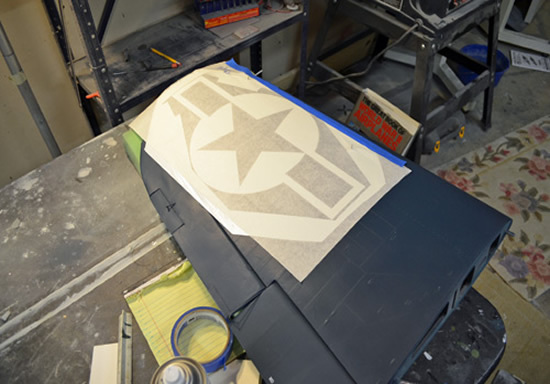 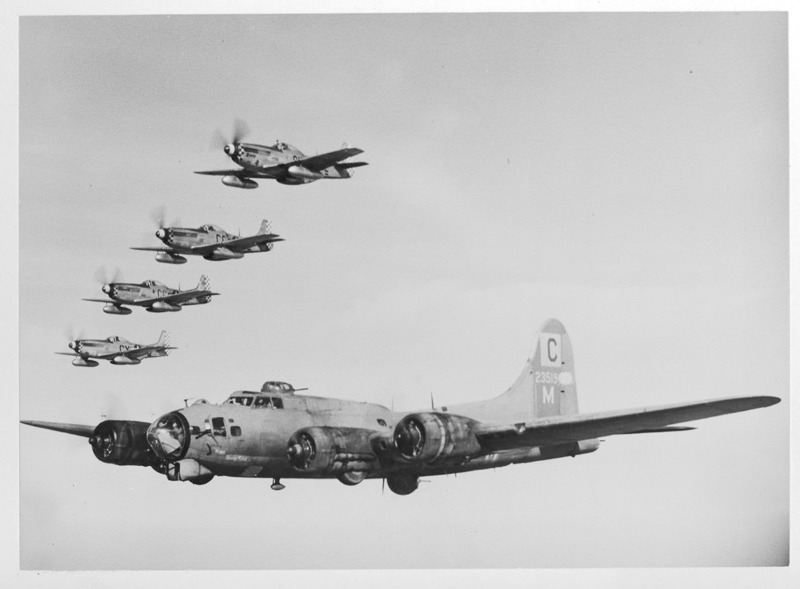 I made unique paint schemes and markings for aircraft flown by WWII airmen personally known to the curator of the museum, and to me, like my father and father-in-law who flew B-17s and B-24s in WWII. 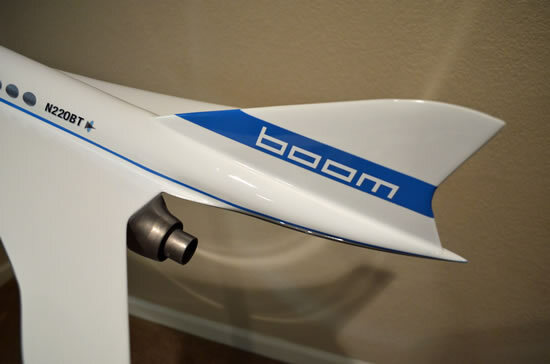 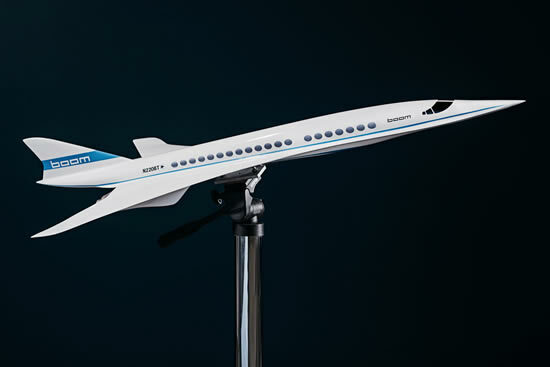 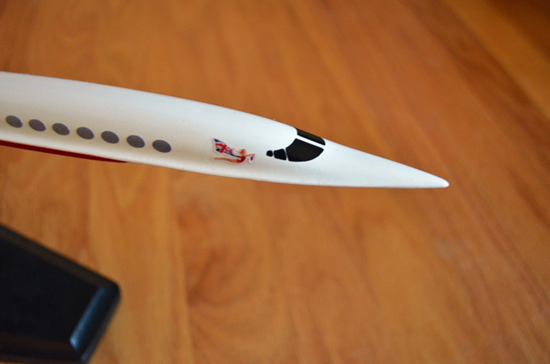 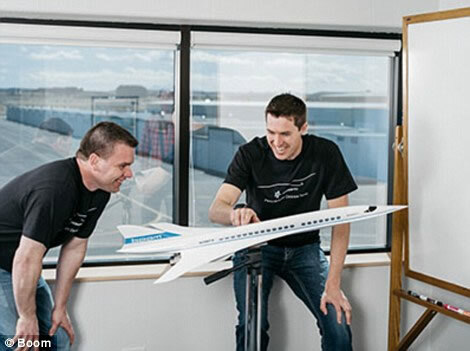 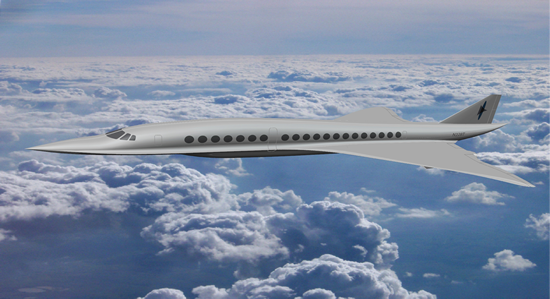 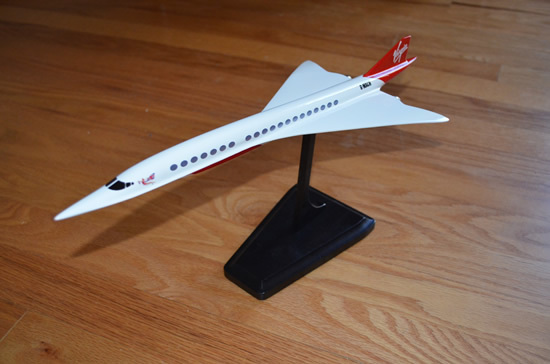 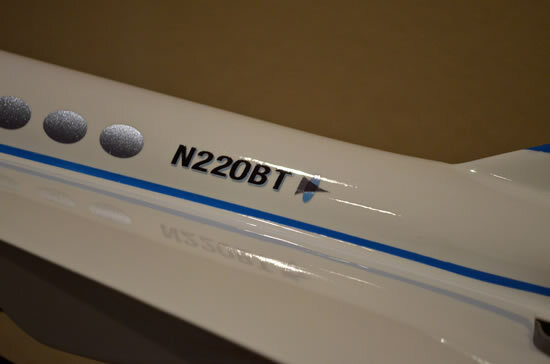 I was commissioned to build two scale models of proposed supersonic commercial airliners by Boom Technology, Inc. A smaller one was painted in the livery of Sir Richard Branson’s Virgin Airlines company. 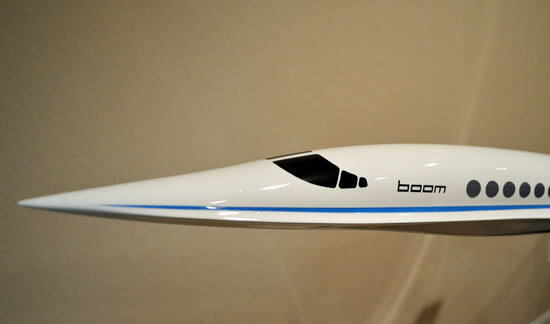 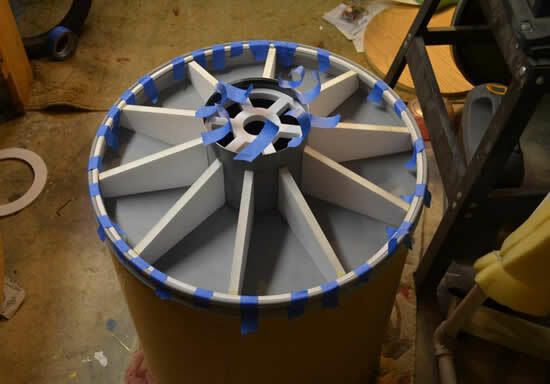 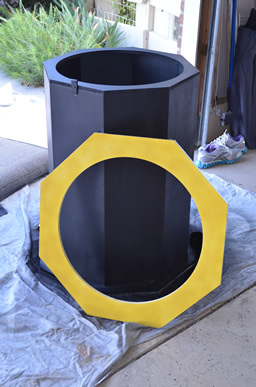 The second, larger model is painted in Boom Technology logo and has been used at business meetings by directors of the company to advertise their exciting new project! 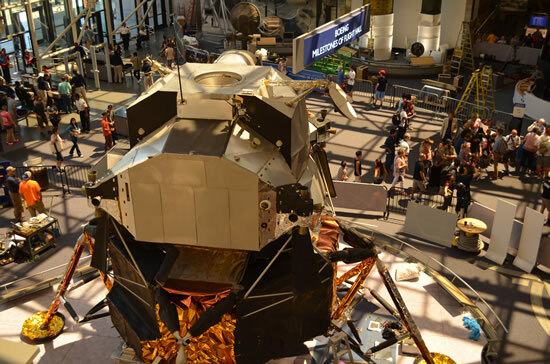 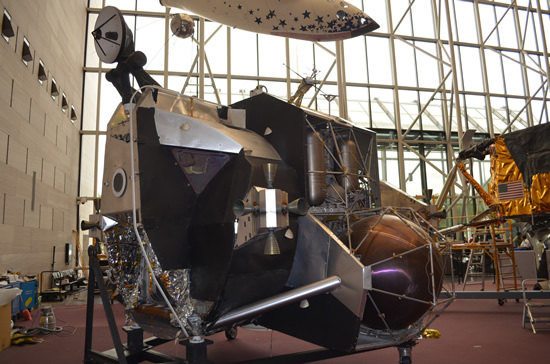 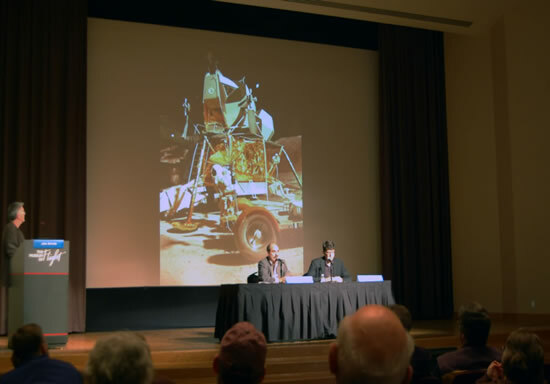 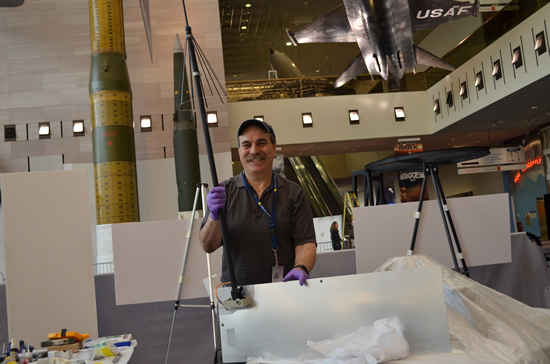 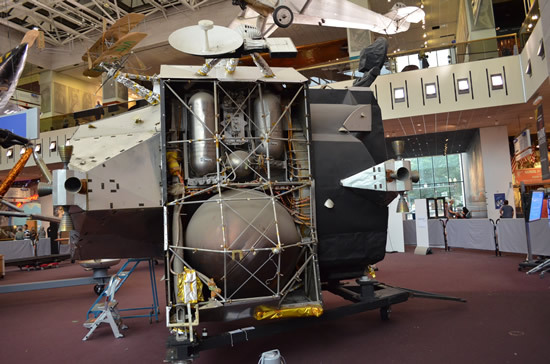 In 2015-16, I had the honor of being one of the restoration team members for the major work to be done on Lunar Module-2 at the NASM. 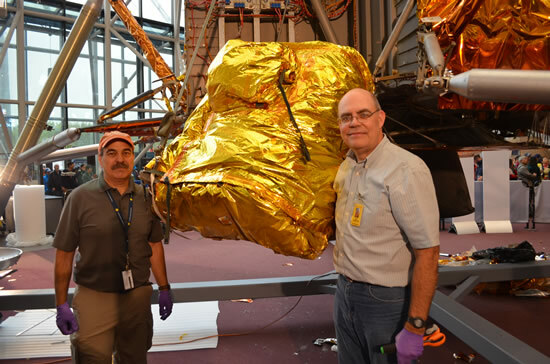 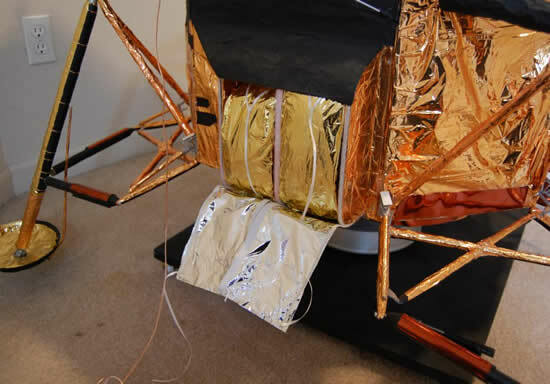 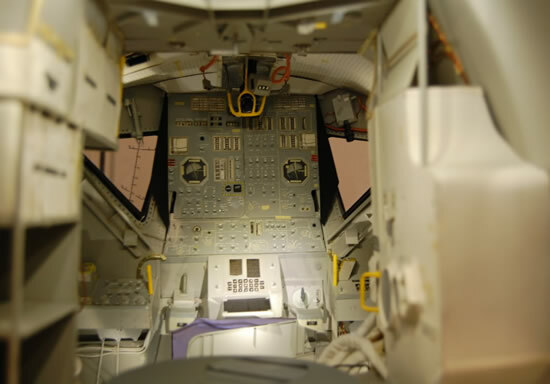 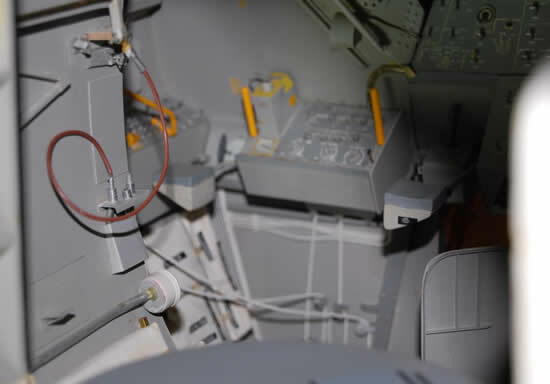 The entire artifact was moved to “center stage” in the Milestones of Flight Gallery, and was carefully stripped down, cleaned, and made to look like the Apollo 11 Eagle at the moment that Armstrong first stepped upon the moon. 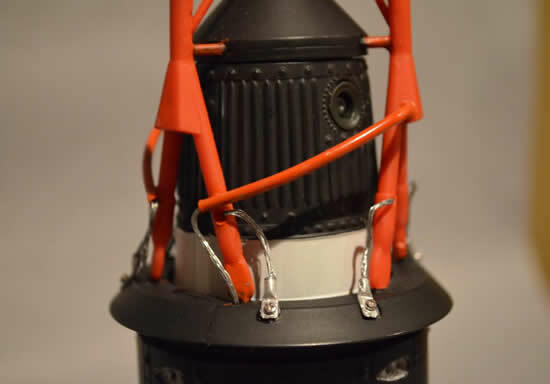 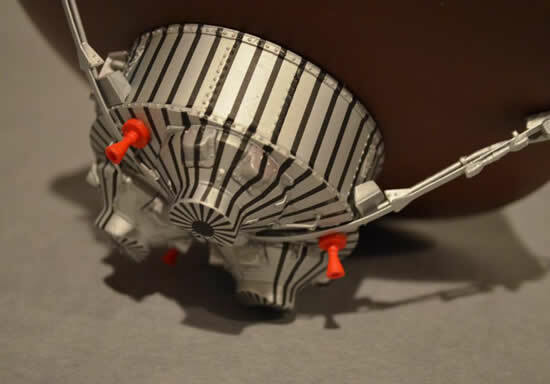 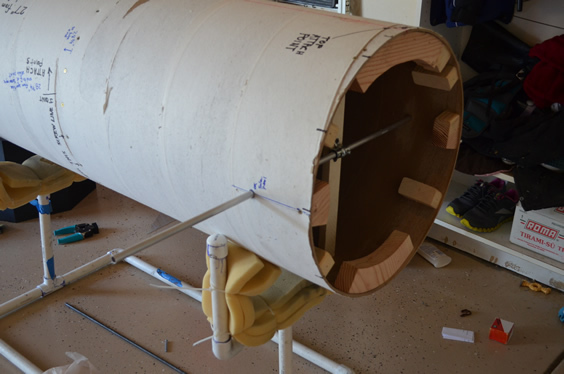 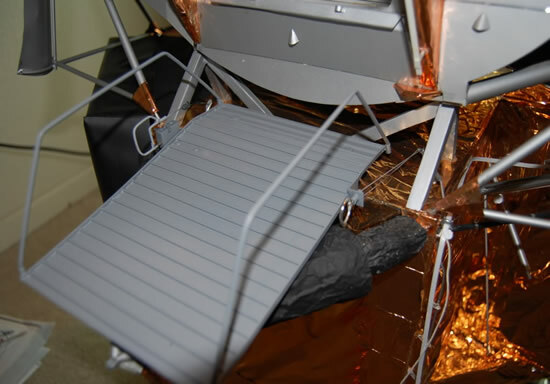 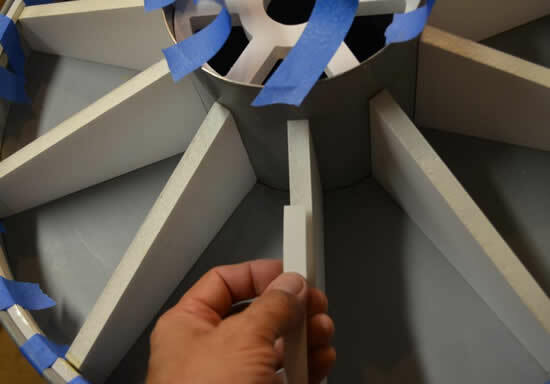 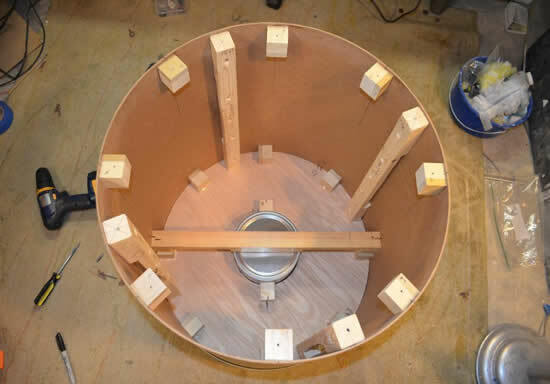 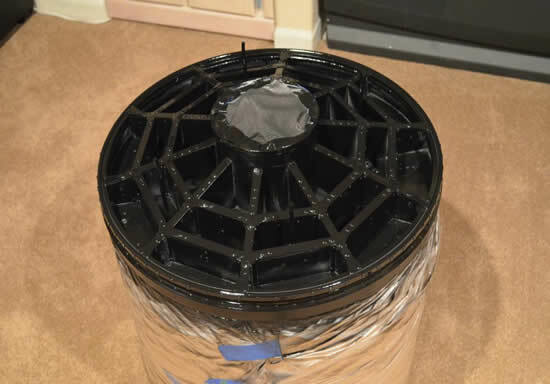 I furnished four different replica items: an EVA antenna, EVA stowage basket, a vent cover, and the flag carrier that was attached to the ladder. 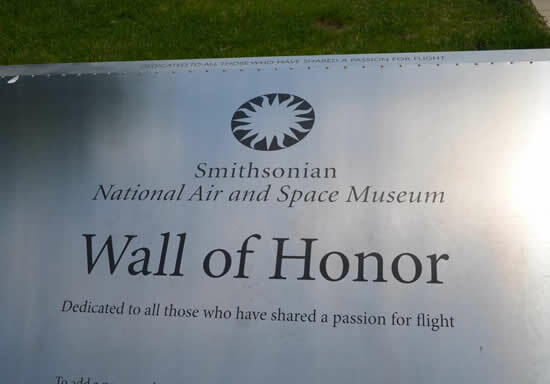 The flag carrier actually has a 3’x5’ flag inside! 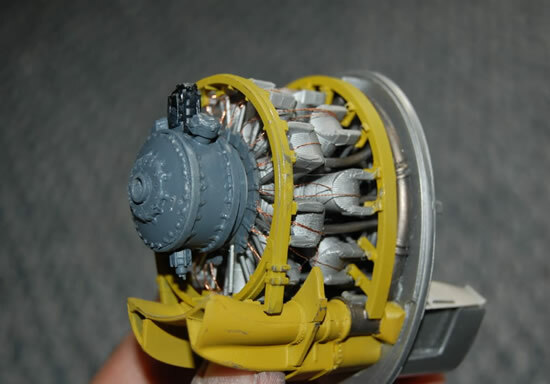 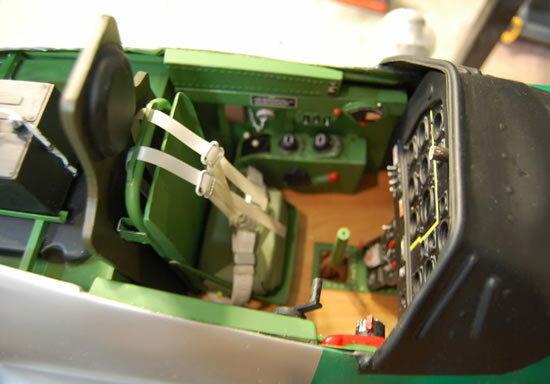 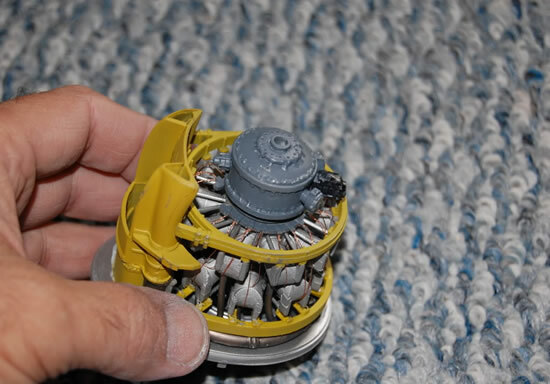 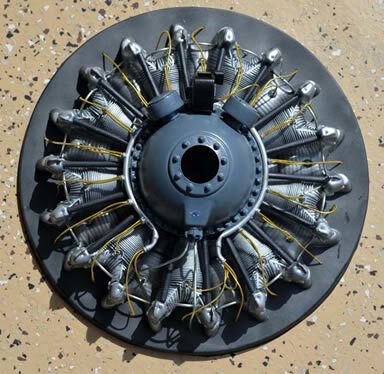 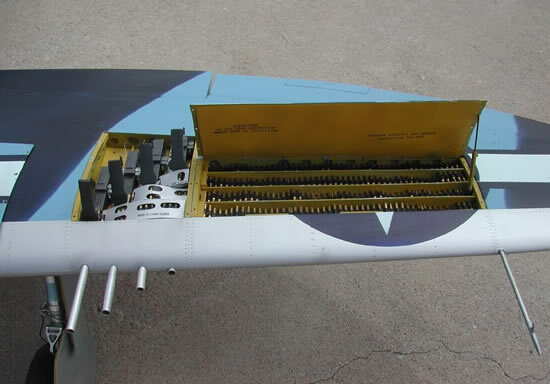 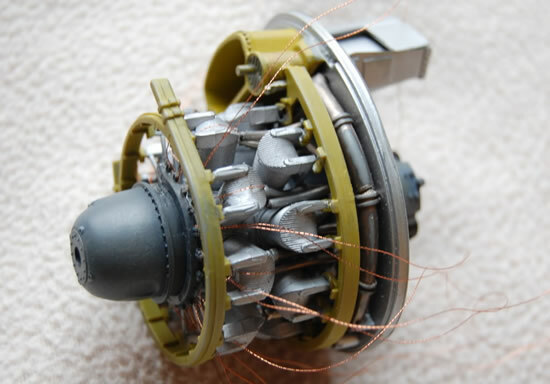 In Spring 2016, I completed a restoration of an Avonds kit r/c turbine engine F-15C for a client. 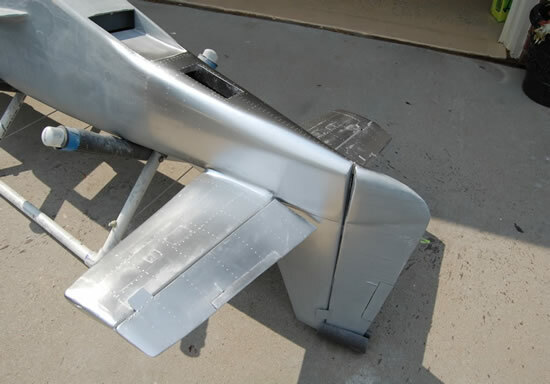 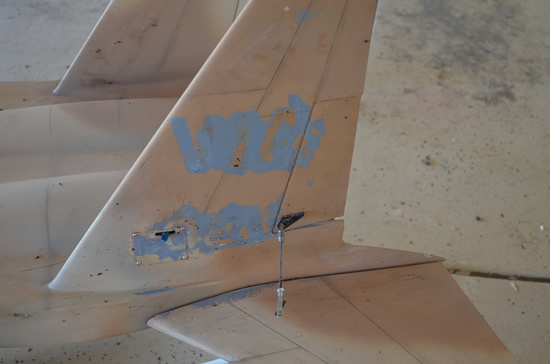 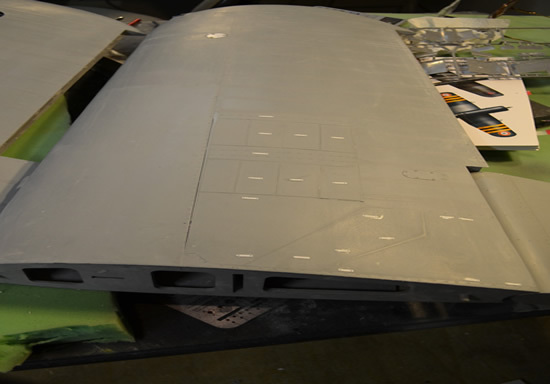 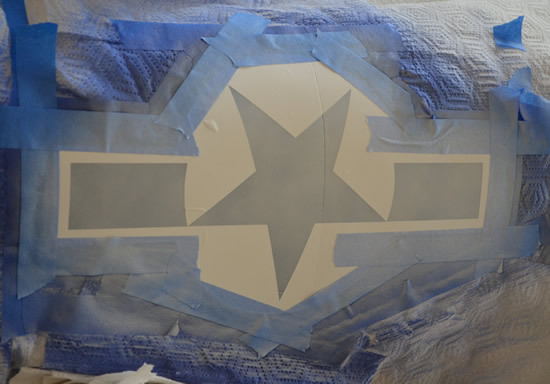 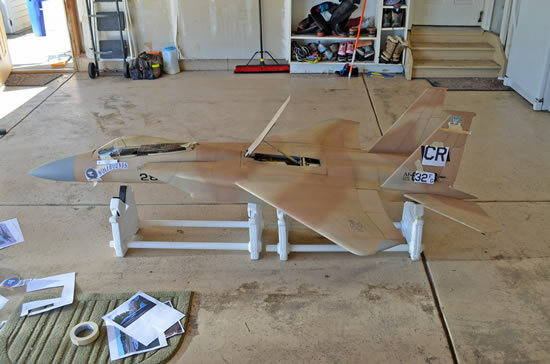 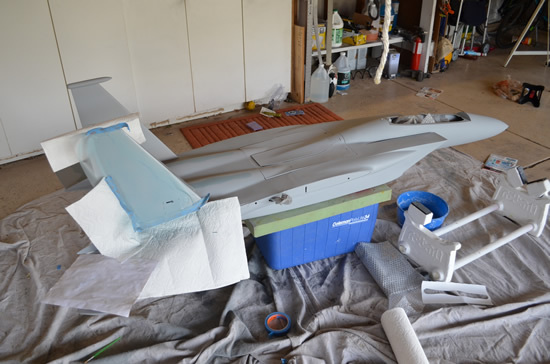 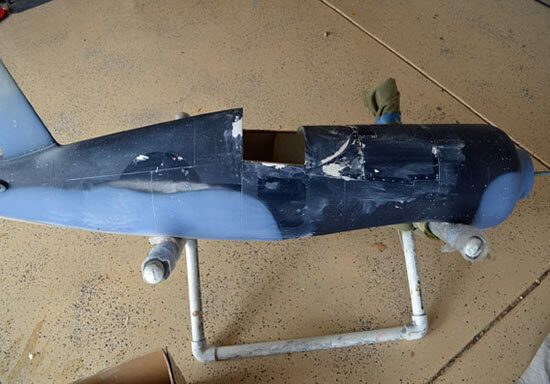 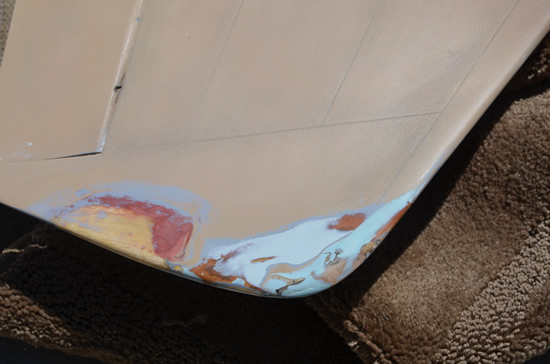 The plane had been flying for several years in a desert camo paint scheme and also needed some restoration work on the skin panels. 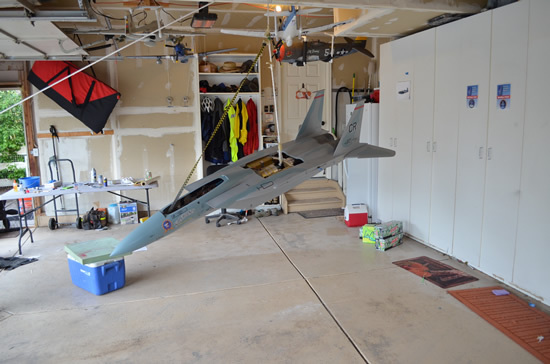 I repainted it in the colors of the 32nd Tactical Fighter Group that operated out of Soesterberg, Air Base in the Netherlands during the 1990s. 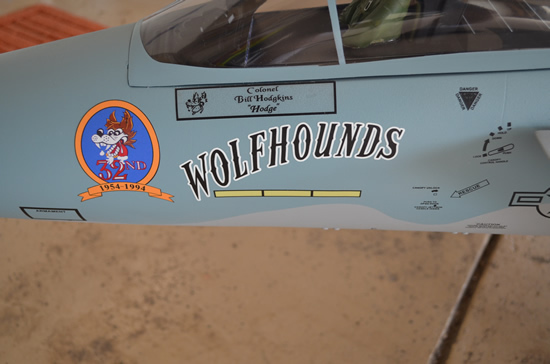 Photos were sent to the now-retired commanding officer of this unit, Major General William “Hodge” Hodgkins, whose personal airplane was the inspiration for this paint scheme, and he was thrilled! 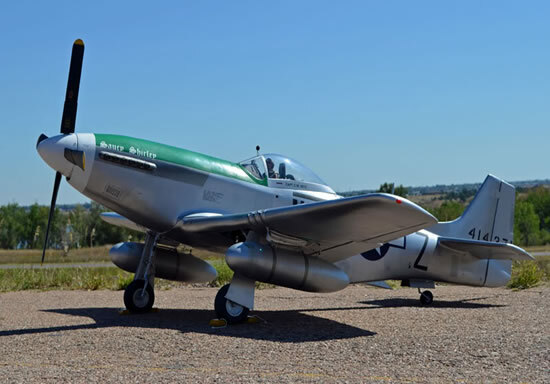 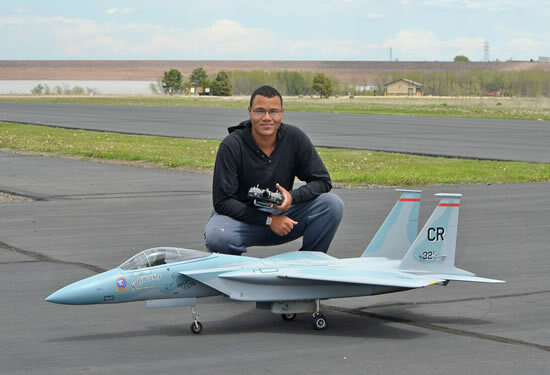 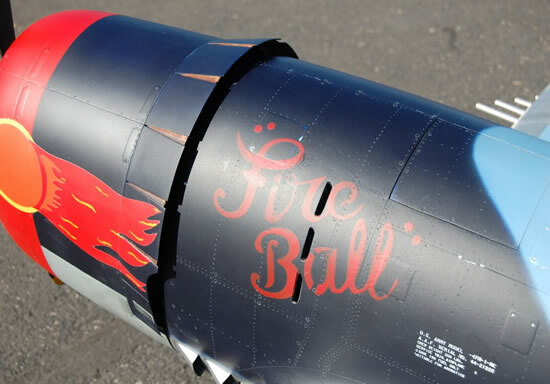 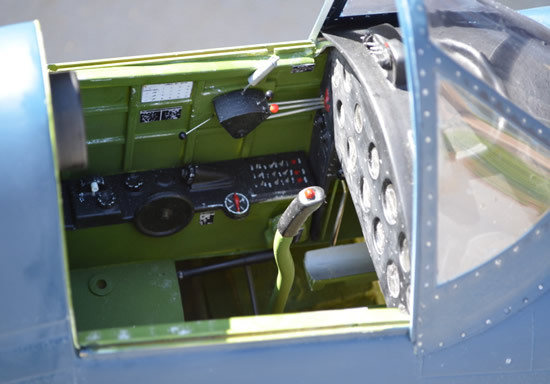 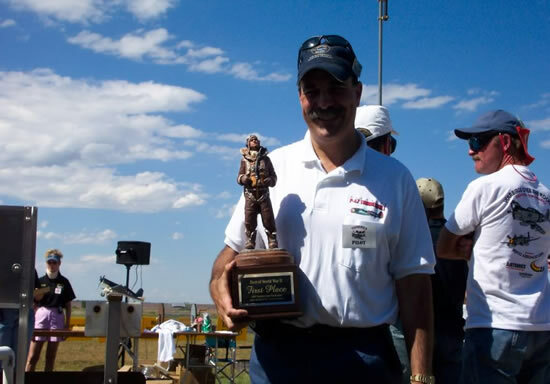 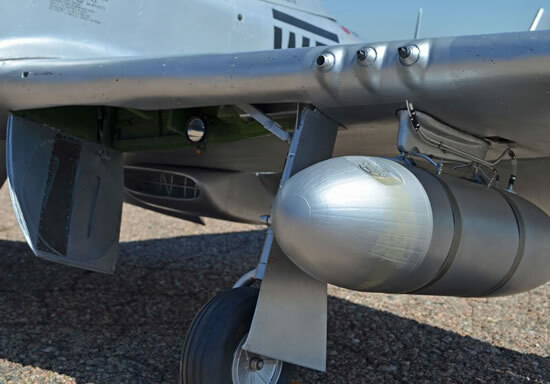 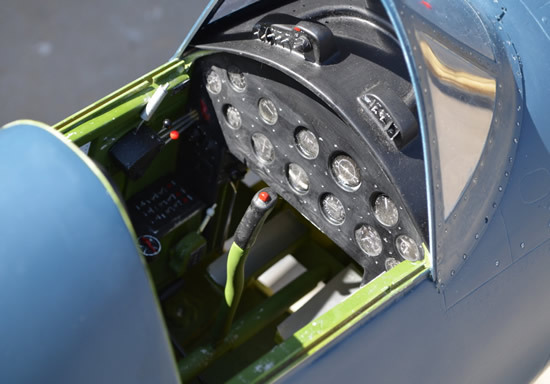 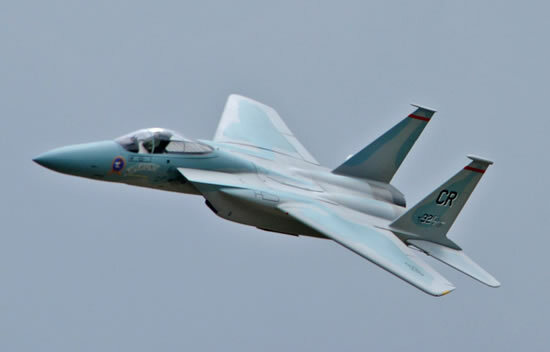 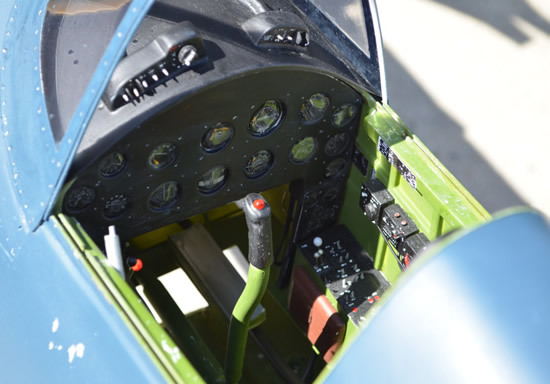 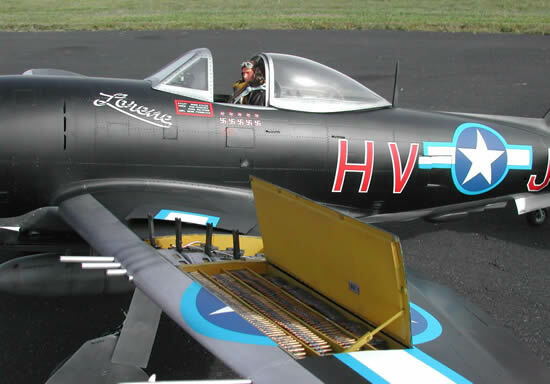 This plane won top honors and accolades at the 2016 Warbirds Over Denver event, including prizes for Best Modern Jet and Critic’s Choice awards selected from competing pilots at this event. 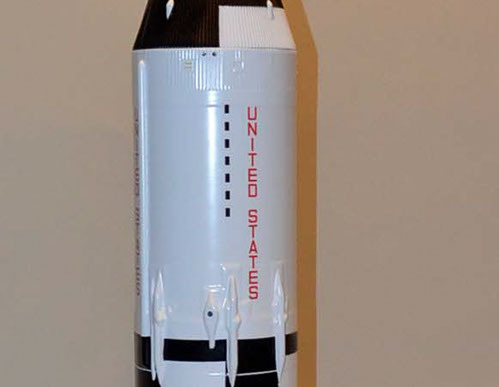 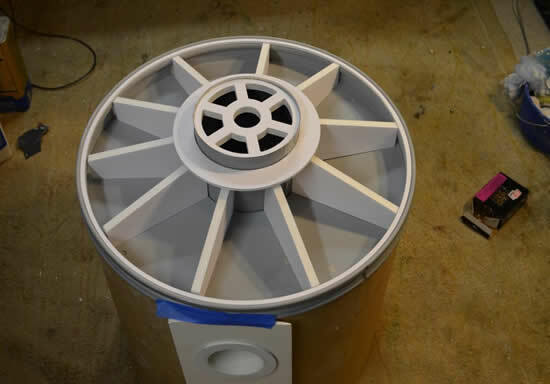 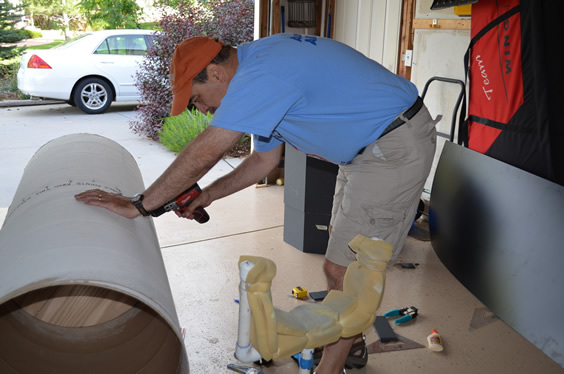 I was commissioned by the NASM in February 2017 to build a detailed 1/70 scale model of the Apollo 11 Saturn V moon rocket for the upcoming Destination: Moon traveling exhibit that will debut in Houston, TX in October 2017. 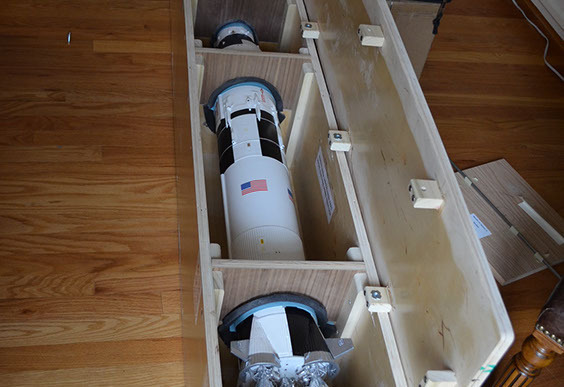 It will also travel to St. Louis, MO, Pittsburgh, PA, and finally to Seattle, WA in 2019. 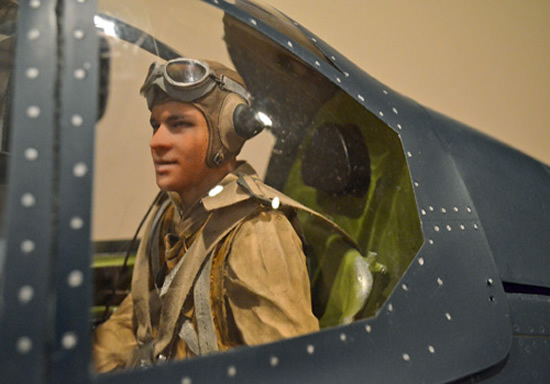 I was the project manager for the new permanent exhibit on the WWII Scouting Forces that was installed in the Mighty Eighth Air Force Museum in Savannah, GA on May 9, 2018. 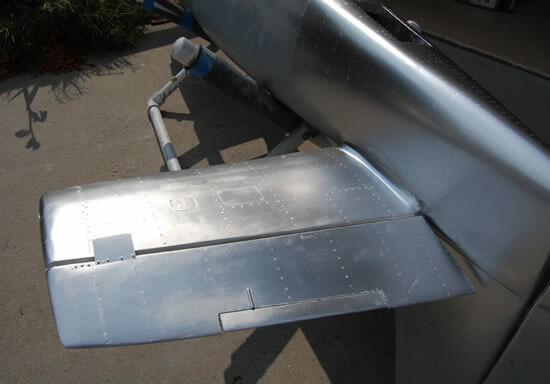 I also built the large 1/4 scale P-51D that is mounted above the exhibit walls. 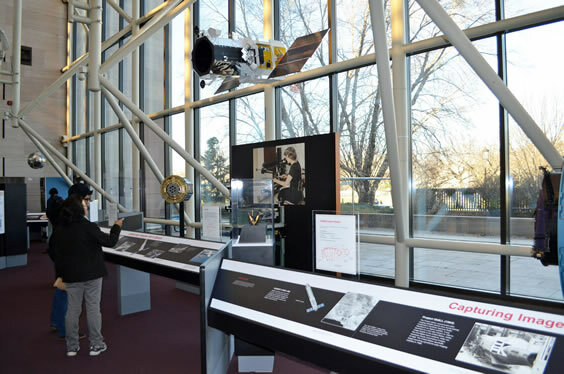 There is also an interesting interactive display screen where visitors can choose to watch several short stories pertaining to the Scouts.